Please remember to also fill out the Family Membership, as the Business Membership Add-on is only available as an add-on membership. Membership in the Cedar Creek Elementary PTA ensures our students and teachers have the partnerships and resources to create a dynamic learning environment. 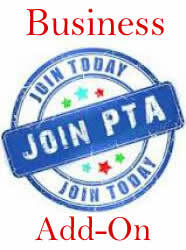 PTA supports the classroom experience through educational resources, technology, memberships and field trips. Business Members will have their business name and contact information posted on the website and directory.